It’s a Christmas Themed week! And there are lots of cool things ahead. Last Friday, I kicked off the Holiday Theme by throwing a giveaway for anyone that posts a picture of Open Minds on my FB page (open until 12/20, so check it out). Today, I’m over on Goodreads doing an author Q&A about my books, writing, and publishing. Stop by and post a question! But for the main event today, I have a guest post from middle grade author Rick Daley. 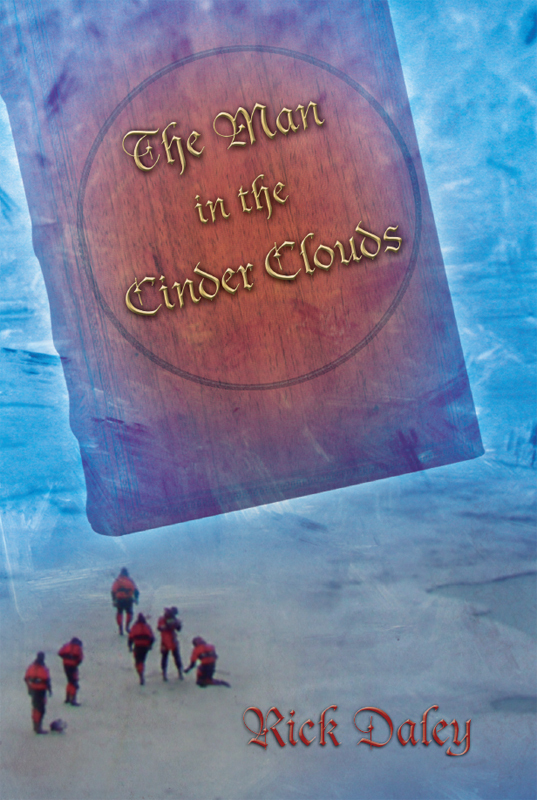 You can check out my review of Rick’s Christmas book, The Man in the Cinder Clouds, or gaze upon the awesome cover. This is one you’ll want to tuck under the Christmas tree, and I’m looking forward to reading it aloud with my kids to usher in the season. The challenge is deciding which one to work on. I had one of those moments when I decided to re-boot Santa Claus. or would it be a monumental waste of time? with an unexpected chunk of free time. So I got to work and cranked out the first draft. By the time I finished my feelings had changed. I was no longer afraid. I was elated! had stepped in and guided my thoughts in a new direction. revealed them, but the feedback also told me something important: the story worked. special, and I am eager to share it with people. success), The Man in the Cinder Clouds will always be a crowning achievement in my writing career. I’m glad I took the dare. Santa Claus you never knew…and will never forget. spirit keeps younger readers turning the pages, but The Man in the Cinder Clouds is not just a kids’ book. you how Kris Kringle came to be known as Santa Claus. It wasn’t easy. his first skydiving experience, have been featured in The Columbus Dispatch. « Holiday Gift Card Giveaway! Thanks for having me again, Sue! The Giveaway should be open later today (still pending approval as I write this) and it will be open until Dec 14th. I'll be watching for comments, if anyone has questions about the story, fire away! Thanks Shannon, I hope you enjoy the story. I'm looking forward to reading it to my daughter, jingling all the way. I read the first 4 chapters to a group of 4th graders today. It held their attention, than I had a blast guiding them through a writing workshop on the elements of storytelling. I want to do this writing thing for a living, it's awesome!